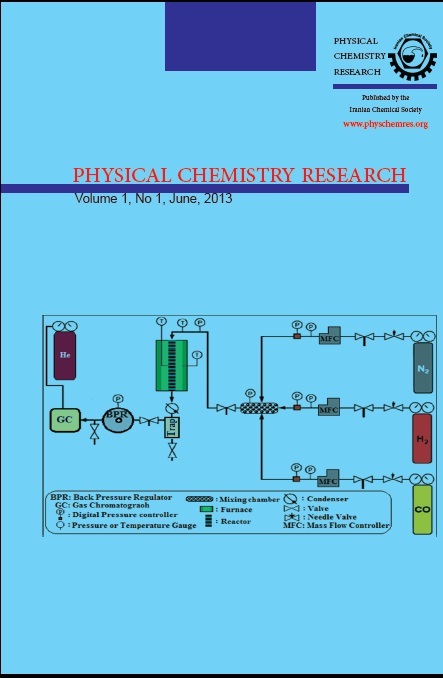 This study demonstrates the spectral data for two triarylmethane dyes, malachite green (MG) and crystal violet (CV) at room temperature. Effects of micellar environment, and crown ether addition on the spectral behaviour of the dyes were studied using absorption spectroscopic method. The dye-anionic surfactant interactions in micellar media were investigated. The chosen surfactants with different alkyl chain length were SOS, STS, SHS and SDS. The effect of a crown-ether (i.e. 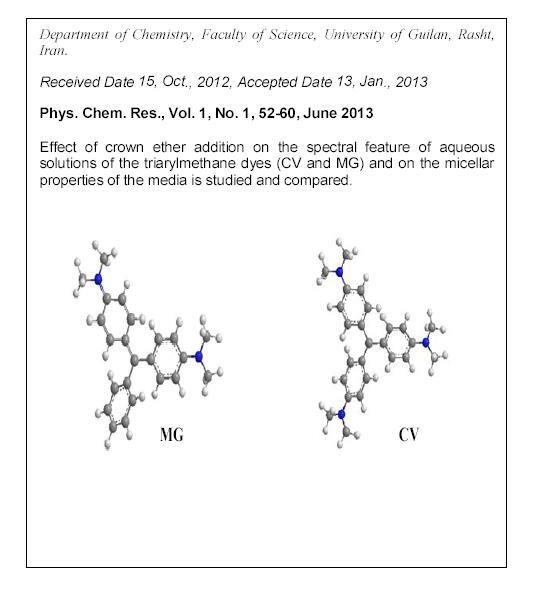 aza-15-crown-5) addition on the absorption spectra and decolorization of the dyes was also studied at room temperature. Moreover, the effect of crown ether addition on the micellar properties of the media was also studied and compared. Spectroscopic analysis of the dyes shows that the dye decolorization can be accelerated by the crown ether. Conversely, the decolorization can be inhibited in the micellar media. The nature of decolorization process was interpreted through direct and indirect mechanisms of crown-ether and the dye interactions.